BS 5534:2014+A2:2018, the UK code of practice for slating and tiling for pitched roofs and vertical cladding, contains rules for visual grading of tiling battens. This is not strength grading (in the sense of EN 14081) because the tiling battens are not normally structural timber (in the sense that the rafters are). But this doesn’t mean that the grading comes without assumptions of mechanical properties – because some design calculations are still necessary. Clause 4.11 gives a short list of permissible species and origin. This is presumably a result of these species and origin having been listed in BS 5268, the design code for structural timber prior to EN 1995. The visual grading requirements are in Annex D.
Minimum sizes are listed in Table 3, which works on the basis of span and type of tiling. These minimum sizes apply regardless of the species and origin. Clause 5.2.5.2 goes on to say that the battens should have “adequate strength and stiffness to support the dead, snow and wind loads” and “provide adequate withdrawal resistance without splitting and causing excessive bounce when fixing slates or tiles”. So when the spans, or loading, are greater than in Table 3 it is necessary to do “structural design calculation”. Annex F gives instructions for determining batten sizes by calculation. In Clause F.1 it explicitly says that the calculation should only be done when the spans or loading are different from Table 3 – so Annex F is to be used only when the the spans or loading are greater than in Table 3. That implies that Table 3 sizes are sufficient for the types of loading being checked by Annex F, regardless of the timber species and origin. I say imply because the sizes specified by Table 3 actually pre-date these calculations. The 1997 version of BS 5534-1 has the same size requirements, but back then the timber species were simply divided into type A (those imported) and type B (those from UK and Ireland) and the properties given are different (the lowest mean modulus of elasticity, MOE, is 7.5 kN/mm2). 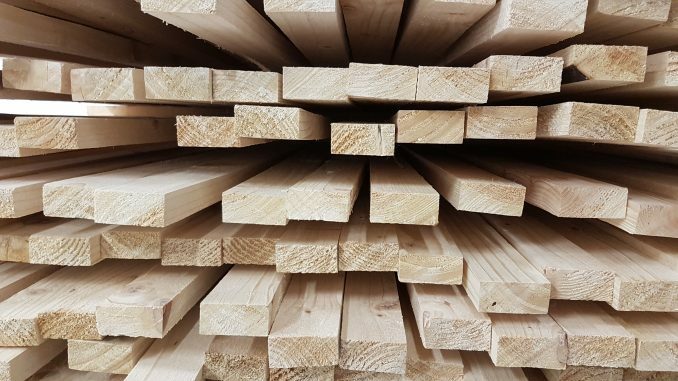 Clause F.3 says that the short-term load sharing bending stress for timber battens should be limited to the “GS grade bending stress for softwoods of the appropriate species given in BS EN 1995‑1‑1”. This therefore assumes that the battens, graded to Annex D, have at least the performance of the “GS grade bending stress”, but what is that? Clause F.3 says that battens deeper than 72 mm should be designed in accordance with EN 1995-1-1. Given what is written in EN 1995-1-1 clause 3.2 (“timber members shall comply with EN14081-1”) this means that such large sized tiling battens need to be proper strength graded structural timber. It is not clear what requirements of BS 5534 still apply in this case. But for more usual sized battens, the reader is directly referred to Table F.1 which gives “GS grade bending stresses and moduli”. Cross-checking with EN 1995 will result in immediate confusion because these values are very different, and seem to bear no relation to “GS grade” as we would see it now (between EN 1912 and EN 1995). Table F.1 actually lists the design values for permissible stress design, whereas EN 1995 is a limit states code. To make sense of this we need to look back at BS 5268 again. Prior to the invention of the European strength grades “C” and “D”, BS 5268 directly gave design values for the visual grades. When the European codes were being developed, BS 5268 was modified to become compatible with the EN 338 strength classes, but the equivalence is not a simple matter – because of differences in the strength class definitions and in the different approach between permissible stress and limit states (the former putting safety factors within the design stress, the latter applying them separately). Table F.1 is actually more of a direct lift from BS 5268 and when it says “GS grade” it means GS as it was then (prior to 2004) and not as it is now. Below is an attempt at summarising the difference for each of the listed species – but it should also be remembered that these sizes are too small to really be GS grade to BS 4978 (Clause 4.2 specifies a minimum cross-sectional area of 2000 square millimetres, which is almost twice the size of the largest size in BS 5534 Table 3) and the assumption that they really would have those properties is questionable because of the relative size of the knots and the rules in Annex D being different to those in BS 4978 (but see addendum, below). For all the species, except imported redwood and whitewood, Table 10 of BS 5268-2:2002 gives the same values as BS 5534:2014+A2:2018. For imported redwood and whitewood, Table 10 of BS 5268-2:2002 gives higher bending stress (5.3 compared to 4.2). The footnote of BS 5534 Table 1 says the value it quotes was derived from testing of battens. That there is such a large difference in the GS C-class assignments could be due to the way the old visual grading assignments were transferred into the EN system. It does not necessarily mean that actual timber graded GS does not have that higher stiffness in reality. But again, proper GS is not such small pieces. Fortunately, the limiting performance of all these is the same in both the older and current senses – C14 for British spruce. So if C14 spruce is thought enough for the regular tiling batten specification (BS 5534 Table 3), the other species would be too. There is, of course, still the open question as to whether the visual grading in BS 5534 Annex D actually produces battens with C14-like properties. This is additionally complicated by the different size adjustment factor (BS 5534 equation F.1 compared to EN 384:2016 equation 4), but this is a topic for another day. We will look at the Irish code of practice, S.R. 82:2017 another day too – but for now it is worth noting that it has different visual grading rules (for knot size). It makes the same assumption of equivalence with GS visual grading (Annex A), but here refers to the current sense of GS. It is also different in that the calculations are done as EN 1995 (limit states). Visual grading rules specific to tiling battens were added in 1997 (Annex E of BS 5534-1:1997). Prior to that, the visual grading standard BS 4978 was referenced.